An elegant deck chair with a very trendy vintage touch. 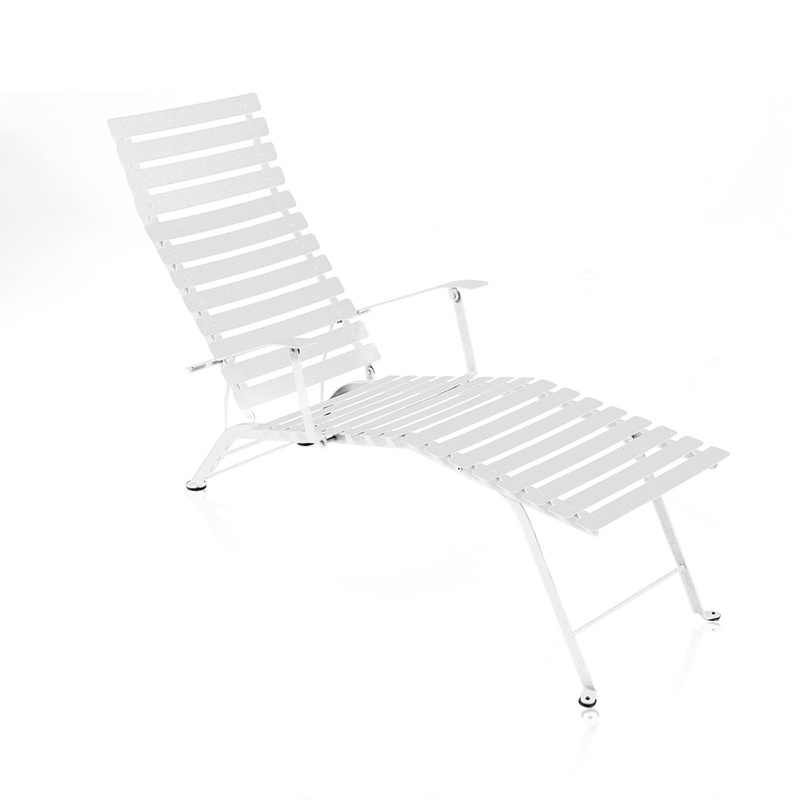 The Bistro deck chair is a comfortable lounge chair in a matte white painted steel, available also in other very vivid colours to match other furniture in the garden. 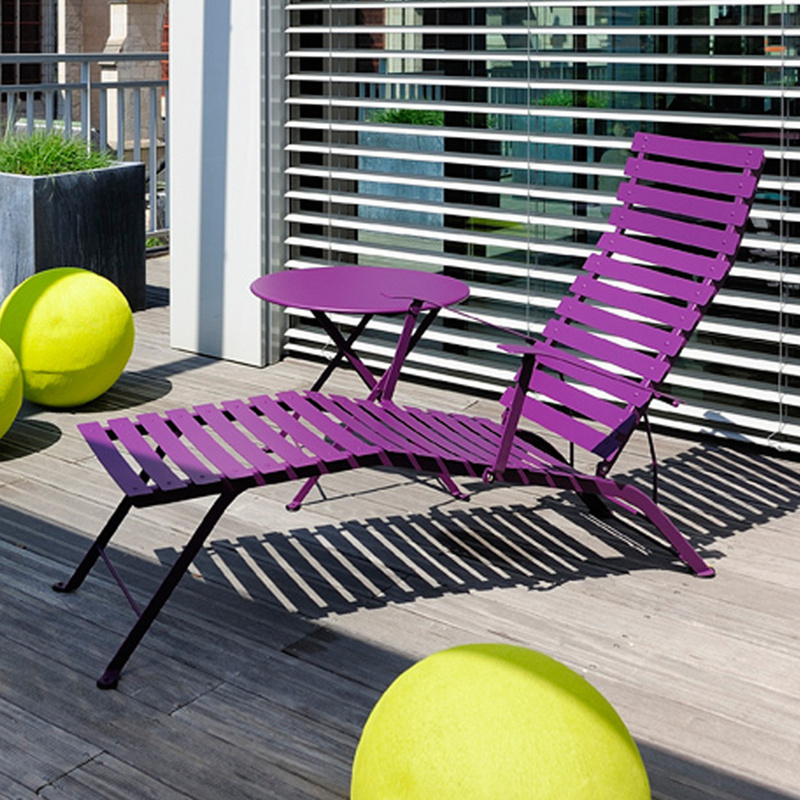 Like much of the Fermob furniture, even the Bistro deckchair series was designed and built for the outdoors: the coating will not ruin in contact with the air, during winter frost or direct sunlight. 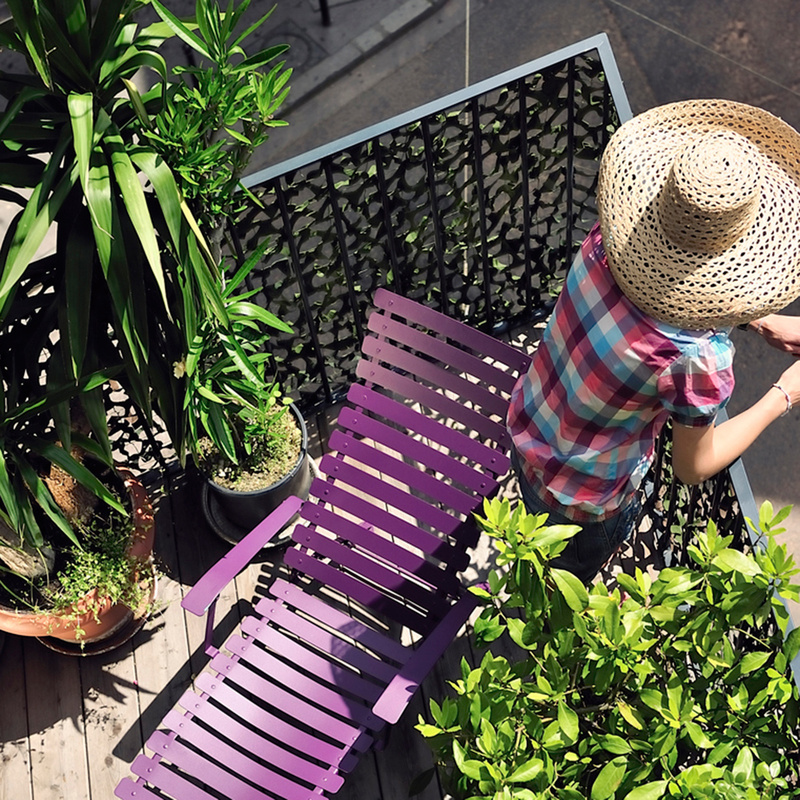 It’s a seat designed to be used over the years without burning out. It can therefore be left out in the open without problems, even in the winter months. 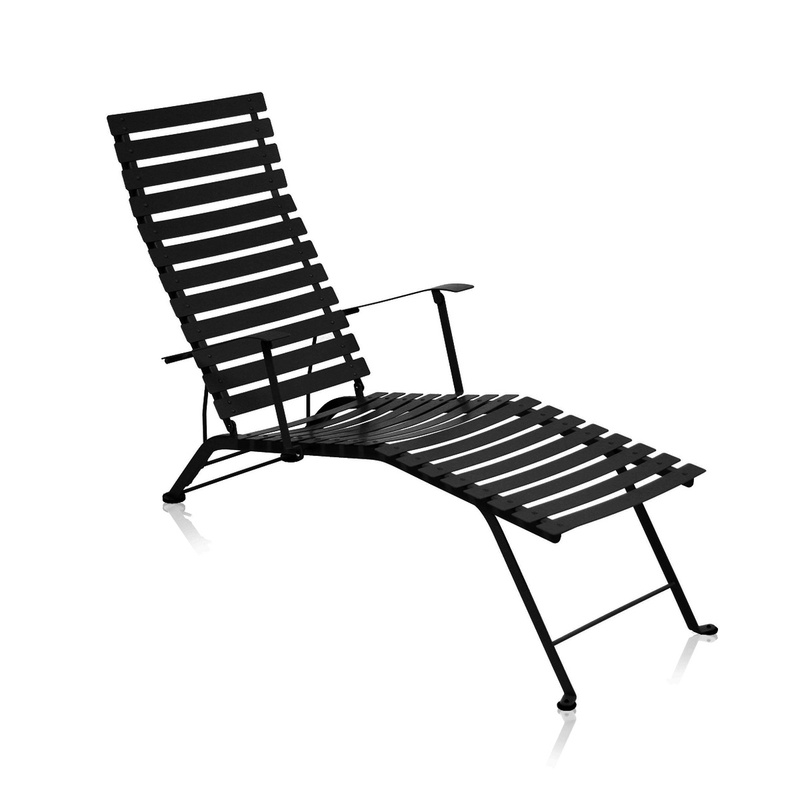 This deck chair is very comfortable and pleasant, with seat bottom and back made of large metal strips, whereas the area for the legs is slightly curved to allow proper body position. The chair is 140.8 cm deep, 35 cm high and 89 cm on the back. The total weight of this chair is 17 kg and the manufacturer guarantees it for three years, thus confirming the quality of the product. The Bistro series by Fermob comes from the first models produced back in the 1800s, which were used by Parisian kiosk operators. 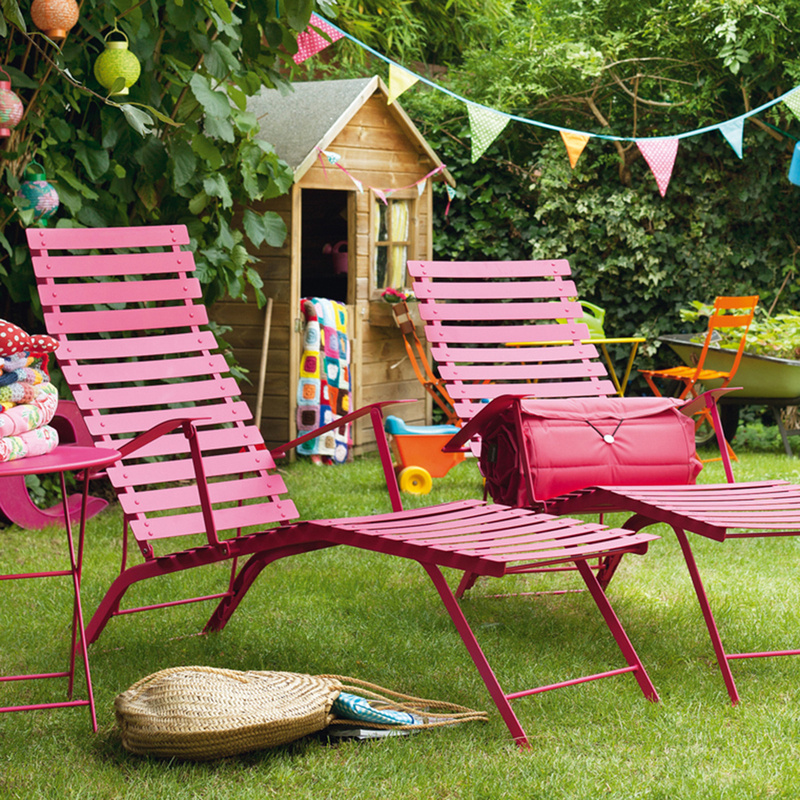 Just as with the Bistro chairs, the deck chair can be easily folded to make it much less cumbersome and stored in the basement or in a garage during downtime. 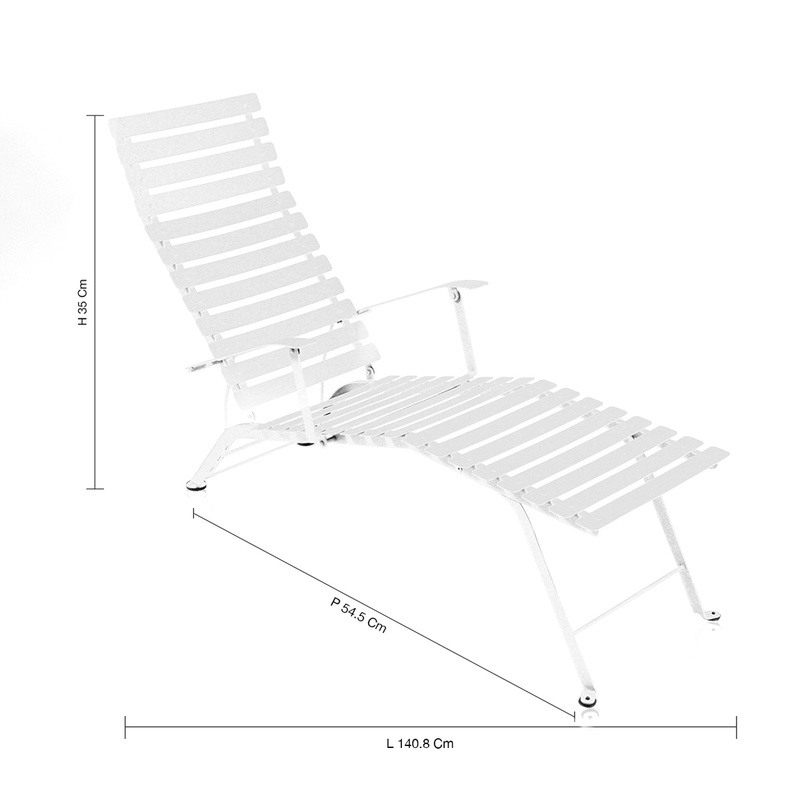 Besides being a very practical beach chair, Bistro is very nice and allows you to give an original touch to any outdoor area, whether in the garden or on the terrace. 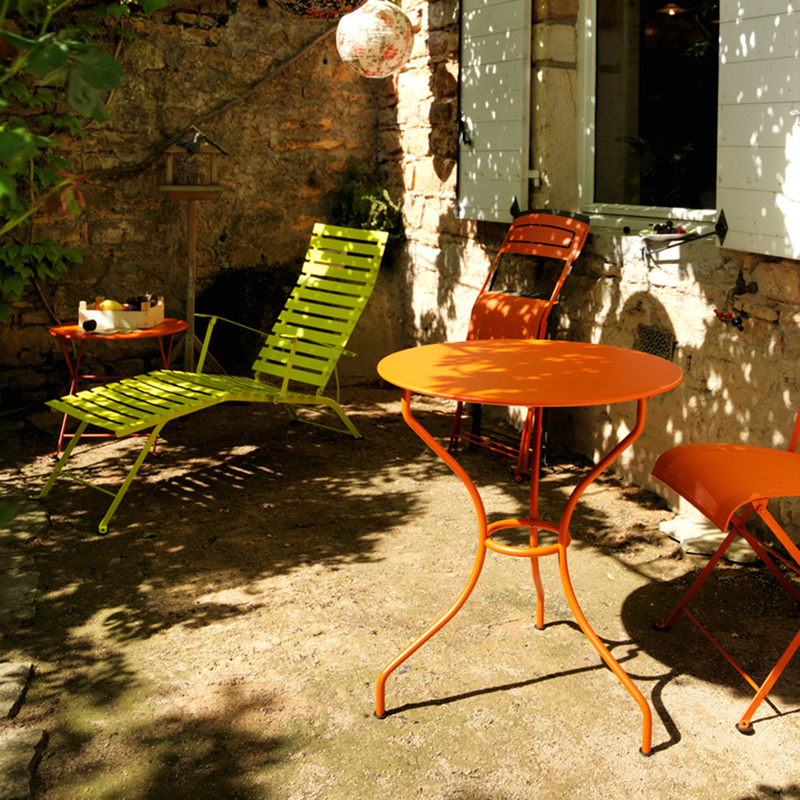 The uniqueness of Fermob furniture is that they have a very modern look, however also offering an added vintage touch, allowing you to take home a little atmosphere from Parisian bistro in an original way for a green corner.